Click here to order from Twenty-Third Publications! 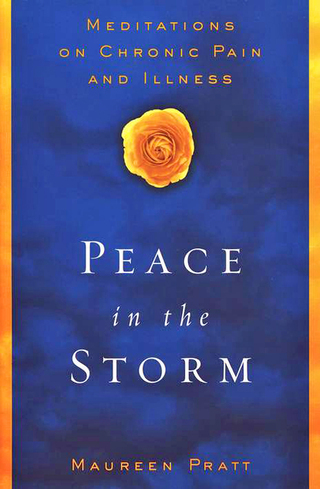 New Cover for Audiobook of Peace in the Storm!!! NEW REVIEW OF SALT AND LIGHT: CHURCH, DISABILITY, AND THE BLESSING OF WELCOME FOR ALL! I am honored and grateful that CNS just published a review of f "Salt and Light: Church, Disability, and the Blessing of Welcome for All." A link to the review is on the right side of this page.Thank you, CNS and reviewer Brian T. Olszewski! And thanks be to God for all His many blessings! 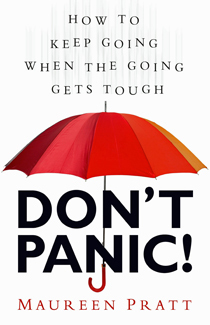 The book is available now, wherever books are sold, including Amazon and from the publisher, Twenty-Third Publications. You can see the cover on the left side of this page - simple and strong. "Salt and Light: Church, Disability, and the Blessing of Welcome for All" is a resource for parishes, parishioners, and clergy who wish to fully welcome persons with disabilities into complete participation in our church families. We have made great strides in society and our sacred places to accommodate persons with disabilities. However, many people don't realize it, but our churches are often very behind when it comes to welcoming all, especially people with disabilities. From children with special needs to adults with physical disabilities that need specific accommodations, many of our brothers and sisters in Christ feel unwelcome and left out of church fellowship - and they stay away because of this. I'm not just speaking from observation, but also from experience. As someone with invisible, but very real, disabilities, I have been the "recipient" of rejection, misunderstanding, and outright prejudice in church. But I have also found wonderful acceptance and Christ-reflecting love - and therein lies the reason for my new book. "Salt and Light: Church, Disability, and the Blessing of Welcome for All" tackles the tough issues surrounding church communities' reluctance, inability, or refusal to "welcome all," but it also offers practical and prayerful resources and solutions to modify attitudes and find ways large and small to welcome all at the table of Christ. Not just for one liturgy. Not just on one other occasion. Always! 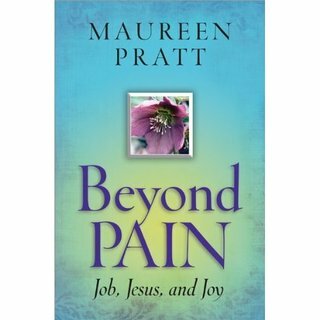 I offer this book out of my heart to bring compassion and understanding to a subject that can be tough for many people. 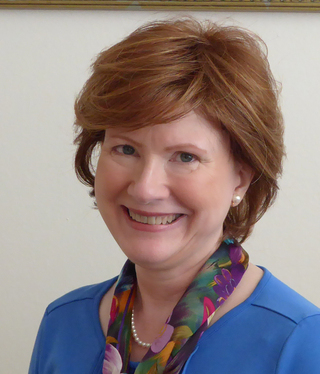 The suggestions offered and resources given flow from my years of experience living with limiting disabilities, writing and researching in the fields of health, spirituality, disability and faith, and deep concern for bringing salt (true diversity) and light (profound love of Christ) to faith communities everywhere. I hope you will let me know what you think of "Salt and Light: Church, Disability, and the Blessing of Welcome for All." I care deeply about this important topic, and I know you do, too. Blessings for a healthful and faithful autumn! 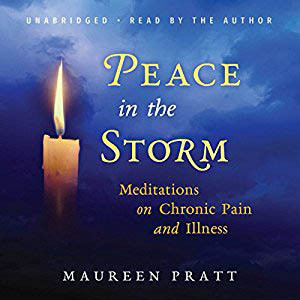 I am absolutely delighted to announce that the audiobook format for "Peace in the Storm: Meditations on Chronic Pain and Illness" is here!!! There are also a couple of exciting, new elements to this project. First, you'll notice that the cover is very different from the original book/ebook formats. It was designed by a friend and gifted artist of works of faith, Michael Schrauzer. No worries about what's inside, though - The audiobook is unabridged, complete with the content from the book/ebook formats. Also, in putting together this project, I wanted to give readers of the book an enhanced experience. So, there is music threaded throughout the book, composed by a good friend and talented composer, Ken Joseph. I hope you will enjoy this audiobook as much as I enjoyed producing and narrating it. Please send me your feedback (and, if you can, leave your thoughts online, too - every positive review helps!). Lupus (systemic lupus erythematosus) is an autoimmune disease in which the body's immune system turns on its own organs and tissues. It is much like being allergic to oneself. The diagnosis of lupus is complicated, and involves a comprehensive physical and hemotological examination of the patient, as well as an extensive look at a patient's past medical history. The American College of Rheumatology has established a list of criterion, and a patient needs to fulfill several of the criterion in order to be diagnosed with lupus. Because there is no one "lupus test," or easy way to diagnose the disease, patients often go years between flares and before they are diagnosed. Lupus patients with internal manifestations of the disease often look very healthy, and can be subject to discrimination on that basis. There are no definitive numbers of how many people in the United States actually have lupus, but recent studies indicate that there might be as many as 1.5 to 2 million women, men and children with the disease in the U.S. Lupus can strike at any age, but most of the diagnoses are made to women in their childbearing years. Lupus symptoms can vary from fevers, joint pain, extreme fatigue, brain fog, and photosensitivity to kidney, lung, heart, and central nervous system involvement. There is not cure for lupus; doctors try to treat the symptoms with various medications, some of which have short- and long-term side effects that can also be debilitating. Disease progression and severity are different in each patient; approximately 50 percent of lupus patients will have major organ involvement. Each year, lupus patients die from the disease or from complications such as infection or cardiovascular involvement. The psychological toll of life with lupus is immense. Because of its unpredictability, the hopes and dreams of many lupus patients are shattered, and their personal relationships, career aspirations, and spiritual wellbeing can be severely eroded, if not destroyed. The divorce rate among lupus patients is above the national average, and many lupus patients are, at one time or another during the course of the disease, treated for depression and anxiety. Lupus patients must avoid exposure to sunlight, so even normal daily activities can be impacted and in some cases done away with completely. Outdoor sports, trips to the beach, hikes, and even shopping expeditions are all questionable at best. We sometimes feel like moles! But although lupus patients must live with lifelong, daunting physical and emotional challenges, many are very resilient and develop coping skills within the parameters of their disease involvement. Lupus patients can be everyone's heroines and heroes! There is a great need for more research into the causes of and treatments for lupus. There is also a huge need for more public awareness of the disease, both because it will enable people to be diagnosed more rapidly and because it will help others understand what lupus patients struggle with on a daily basis. 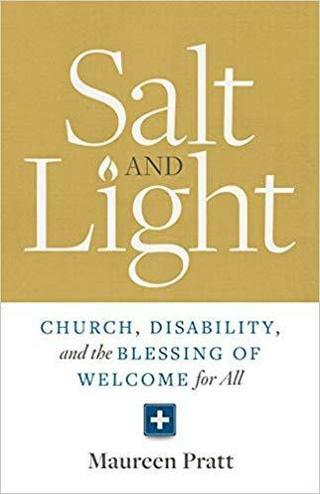 Link to review of "Salt and Light: Church, Disability, and the Blessing of Welcome for All"
Below are some links to more information and resources.